The non-folding Roadster is being replaced by the Folding Roadster. 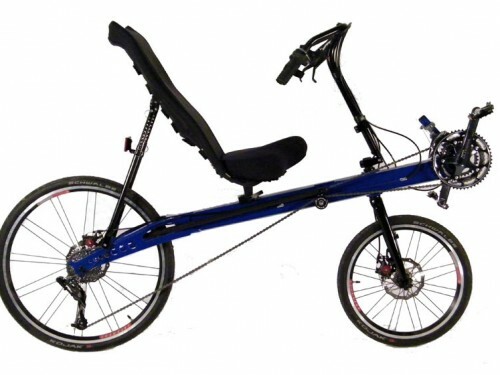 We have a few non folding Roadsters left in stock. Buy Now! 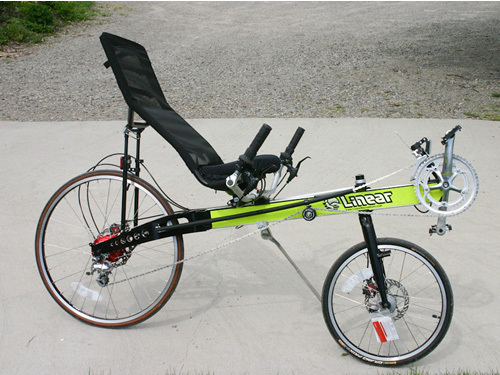 The Linear Roadster is a versatile US made sport recumbent. This bike can take you across town to the Post Office or across the country for vacation. 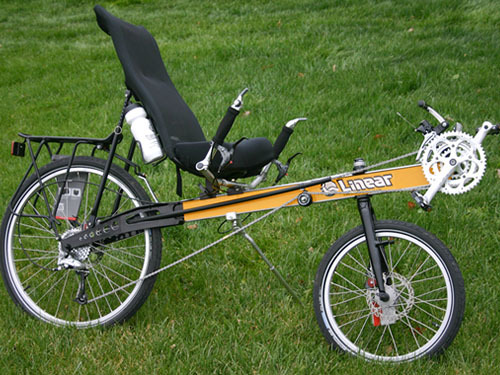 Designed to be the fastest Linear in our lineup yet stable enough for a novice to enjoy and a tourist to love, it was voted Bentrideronline Recumbent Bike Of The Year in 2011. You can read about it here: http://www.bentrideronline.com/?p=6244 . 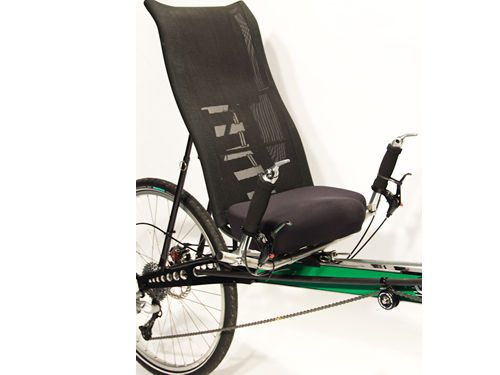 The Roadster has under seat steering so your arms are relaxed, even on longer rides. Over Seat Steering is an option if you prefer that. The American Made aluminum short wheelbase frame gives it a sporty, nimble feel and makes it more compact to transport to out of town rides. 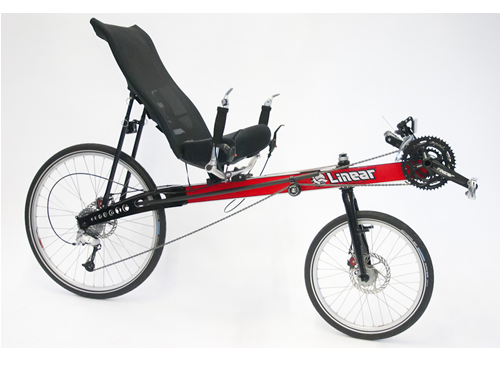 With linkage steering it is one very maneuverable bike and your knees won't hit our handlebars in a tight turn. Whether you want to gain some fitness on your commute while saving some gas, do day trips or century rides the Roadster is ready when you are. One reviewer said the Roadster is "the best handling USS bike I've ever ridden." (BentRiderOnline.) 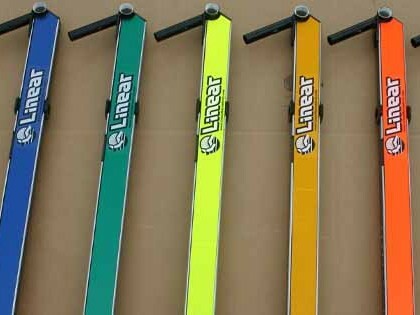 It is also the lightest USS bike in its price range. Stable enough for a novice to enjoy and a tourist to love, fast enough to keep up with your old friends. I LOVE the Roadster. It feels solid and stable and responsive. My odometer passed 100 miles today. I'm anxious to get the Roadster out on the road for an full day's ride. 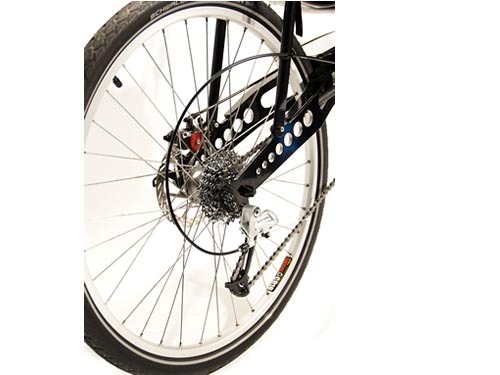 This bike ships mostly assembled for $129 in the continental US. * Frame sizes for riders from ~5'8" to ~6'8"